The Academy Of Country Music Wants To Know Which Tornado Are You? 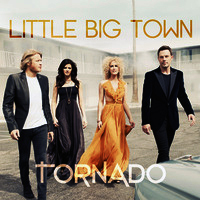 Little Big Town’s new album TORNADO is in stores NOW! And we have your chance to win the album, autographed guitar & more! Little Big Town assert themselves as a vocal quartet with real power and attitude on their new album ‘Tornado.’ The project — their most consistent and satisfying yet — sheds the milquetoast midtemp0 exercises that bogged down previous albums in favor of ones with true grit. ‘Pavement Ends’ sets the tone for an album that goes back and forth between swampy, guitar-drenched foot-stompers and vulnerable, inspirational ballads. ‘Pontoon,’ as it turns out, is not an exception to the style of ‘Tornado.’ The foursome adhere strictly to a rule of stomp from start to finish. 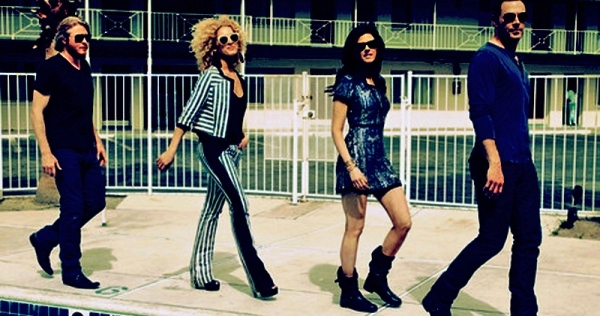 Previously, Little Big Town has relied on bare bones production to dress their tight, four-part harmonies. There are still examples of this; the haunting and inspirational ‘Can’t Go Back’ is naked in comparison to meaty cuts like ‘Front Porch Thing’ and the oh-so-contagious ‘On Fire Tonight.’ There’s no true lead vocalist on ‘Can’t Go Back,’ however, with Jimi Westbrook, Karen Fairchild, Phillip Sweet and Kimberly Schlapman teaming up for a chorus sent down from the heavens. Credit producer Jay Joyce for assembling an innovative and aggressive collection of effects to compliment these four. He’s faced with challenges — transitioning between ‘On Fire Tonight’ and ‘Can’t Go Back,’ for example — but finds creative ways to overcome natural obstacles without much notice. It’s a superb effort. 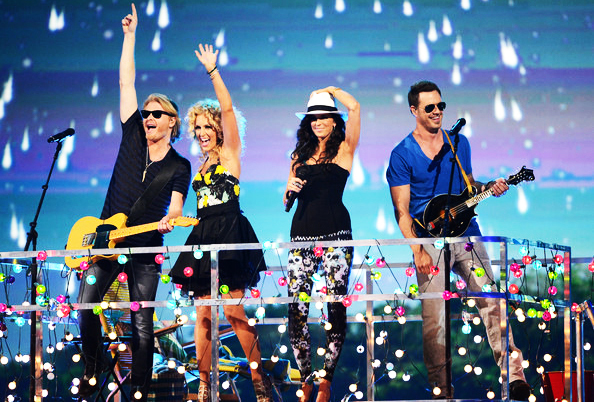 Even in the dips, Little Big Town find interesting ways to deliver corny or well-known messages. The drunk-on-love ‘Sober’ doesn’t stand up to the powerful emotions on songs like ‘Tornado’ and ‘You’re Side of the Bed’ (brace yourself for this heartbreaking ballad, perhaps their best ever), but Schlapman’s effort as lead vocalist turns it into a satisfying and sweet interlude. ‘Leavin’ in Your Eyes’ does something similar. Without these two — and perhaps ‘Night Owl,’ a cool-down song — ‘Tornado’ would be exhausting. Instead, it’s a roller-coaster you can’t wait to stand in line for again and again. 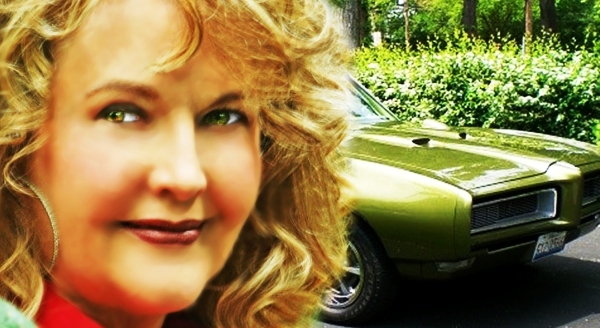 That GTO Keeps Soaring Up The Charts for Cheryl K.
Cheryl K. Warner’s latest hit “THAT GTO” is continuing to get significant USA and international airplay resulting in being near the top of many charts. For September 14th, the song placed very well on both New Music Weekly Charts…at #2 on the NMW Top 30 Indie Chart and at #3 on the Major Label dominated NMW Country Main Chart…Warner Brothers/WEA Artist Hunter Hayes was positioned at #2, Jason Aldean was at #5 and Tim McGraw was at #7! On the RMR, “THAT GTO” placed #6 for their Pop Country Chart of 9-14-12. Cheryl send a BIG THANK YOU to all the great DJs and Music/Program Directors who play and so loyally support her music…She is very grateful to all of you and credit you for all her success. Cheryl K. also gives much praise to her Promoters, Music Associates, Fans, Friends and Family…THANKS SO MUCH. Their support of her efforts and hard work are really making a difference in her career…Cheryl K. admits that it means the world to her! Slowly, but surely, CKWP is reviewing materials submitted to us from aspiring artists, bands and songwriters. We are excited to announce that we are discovering some incredible talent that we will be producing in the studio soon, with many packages still needing review and also having continuous incoming packages requesting help. We are also finding excellent songs to add to our publishing company from talented songwriters from all over the world.